If you are determined to choose a denture for you, then you must make sure that it is comfortable and better than other dentures. There are various dentures available, but not all can give you the desired results or convenience. In such cases, you can choose VPF dentures or Flexible Dentures. Flexible dentures are very good for life. 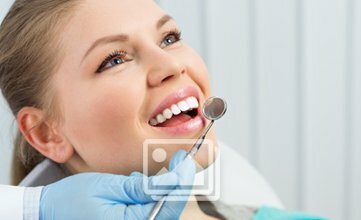 When it is dental care, you should make sure that it is easy and comfortable. This treatment gives you the assurance of best treatment which is comfortable and easy. You must choose this denture for making your dental health much easy and comfortable. The outstanding feature of this denture is that it is very easy to fit. The metal is very soft and is very flexible. You can wear it and remove it with utter comfort. You can have a hassle free life with Flexible Dentures. It is a new way of living, and you can get a natural look with it. It is not at all difficult to use. Moreover, it is free from chemicals that produce allergies or other problems. Normal plastic dentures often come with such chemicals that produce various problems such as allergies and other oral problems. Moreover, there are very few dentures that can give you a natural look. This denture gives you a very natural look. You can smile again with this denture. Another vital feature is that you can get it at an affordable price. For getting this treatment, you do not have to be worried about high prices. You can be assured of best features at an affordable price. There are very few options like this. Therefore, you should choose this right now. You will love the quality of life with it. Hurry up and get your product now from your dentist.